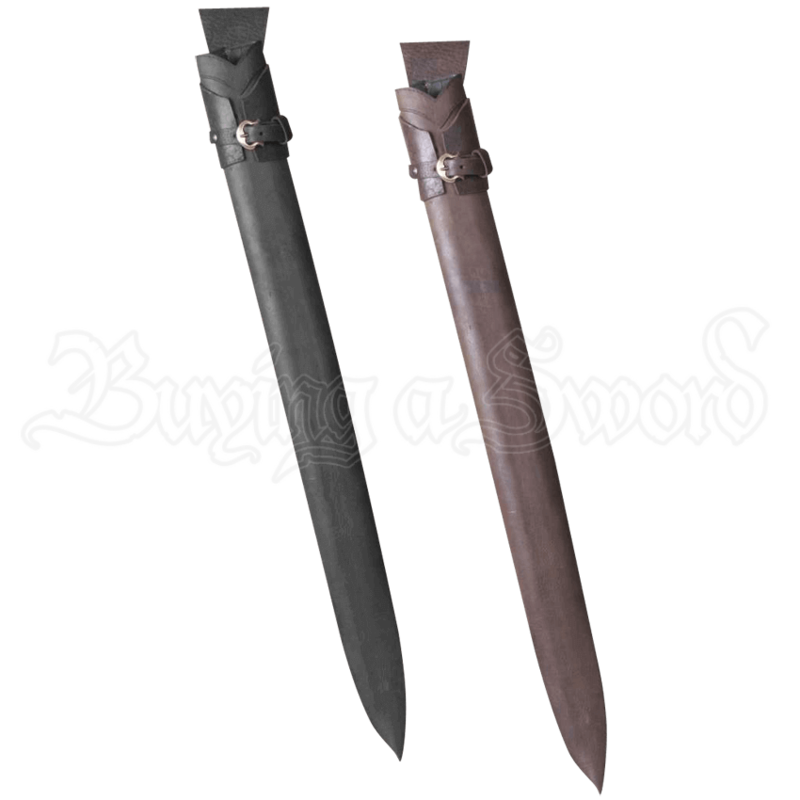 Keep your favorite LARP sword close at hand with the Henry LARP Sword Sheath, particularly ideal for carrying longswords. Made of high-quality leather, this sheath features a subtle yet stylish buckled leather strap detail on its front. 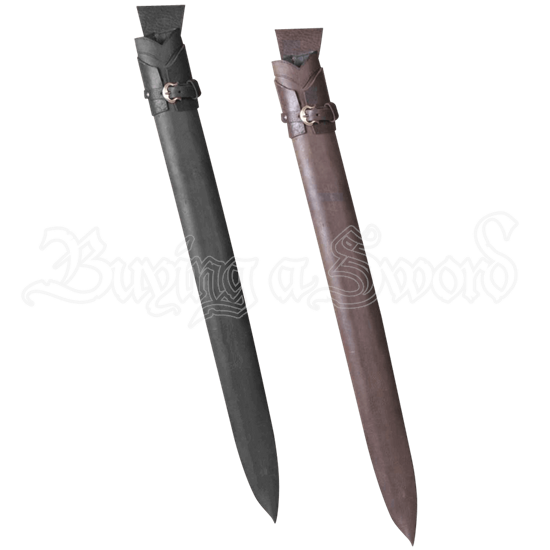 This strap not only provides embellishment, but also helps keep your sword securely in place. The buckle itself is made of brass. This medieval sheath suits a variety of styles and makes a stunning addition to both LARP and historical reenactment outfits. Equipped with a belt loop, it easily attaches to most thin belts. Designed to carry 30.7 Inch blades.